Bansal, who was out on bail in a graft case, and his son had allegedly hung themselves to death at their residence with a purported suicide note claiming harassment by CBI. NEW DELHI: The Supreme Court today questioned the behaviour of CBI personnel during raids and wondered how a senior bureaucrat, arrested in a graft case, and his family members had committed suicide here last year. The top court observed that such a thing cannot happen in the normal course and, at times during raids, the CBI officials do not behave in a proper manner. A bench comprising Justices Ranjan Gogoi and L Nageswara Rao said that a guideline was needed on searches and seizures carried out by the CBI. It asked the CBI Director to look into this aspect after the issue was raised before it that a bureaucrat and three of his family members had committed suicide last year. "We would like the Director of the CBI to look into the matter and file response within four weeks," the court said. 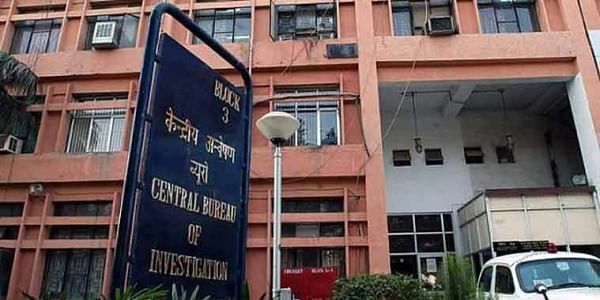 Former Director General Corporate Affairs B K Bansal, who was out on bail in a graft case, and his son had allegedly hung themselves to death at their residence with a purported suicide note claiming harassment by CBI. Before this, Bansal's wife and daughter had committed suicide at their residence following his arrest by the CBI. The apex court was hearing a petition seeking to frame guidelines on searches and seizures by the probe agencies. Advocate Keshav Mohan, who was appearing for the petitioner, told the bench about the suggestions given by them with regard to framing of a guideline. During the hearing, the bench told the CBI counsel that "law expects your officers to behave in a proper manner. We need to have some guidelines". The court also wondered why the wife and daughter of Bansal would commit suicide in such a manner. Bansal was arrested by CBI on July 16, 2016, for allegedly accepting a bribe from a pharmaceutical company. Three days later, his wife and daughter had allegedly hung themselves from ceiling fans at their residence in Nilkanth Apartments in East Delhi's Madhu Vihar.